To clear up the confusion we need to go back to the early 1900’s when sweet potato growers needed a term to differentiate the orange fleshed sweet potato from white fleshed varieties. Thus, the term yam began to be associated with the orange fleshed variety despite them truly being nothing like a yam. Yams are native to Africa and have rough, brown bark-like exteriors with a starchy, dry and typically white flesh. Sweet potatoes on the other hand can have a variety of exterior and flesh colors though we most comely see them with orange or white colored flesh. Furthermore, it’s the flesh part that we have come to love for its sweet and moist. 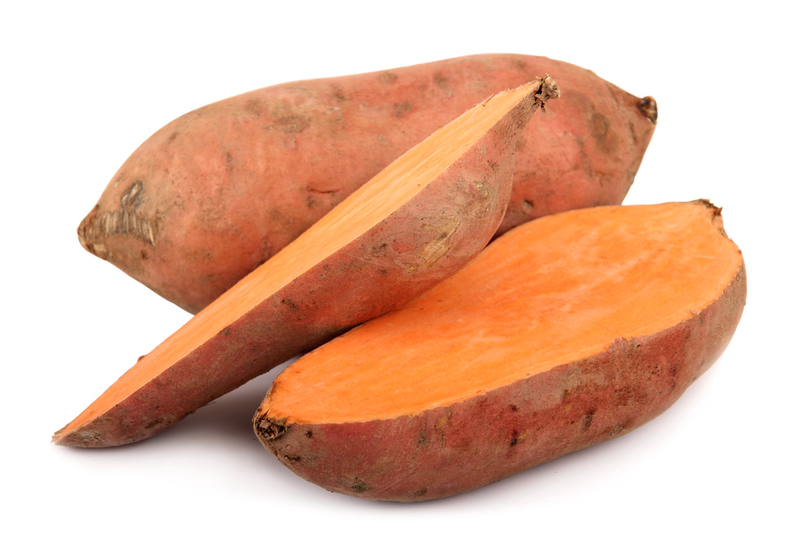 Anything labeled as a “yam” that is truly not a yam should be accompanied by the words “sweet potato” in our markets. However, this does not always happen with labeling and thus the confusion lives on. Swap sweet potatoes for regular white potatoes in your favorite potato salad recipe. Top a green salad with diced sweet potatoes or combine into a warp. Steam peeled sweet potato chunks and make into a sweet potato mash. Cut them into wedges or strips, drizzle with olive oil and bake them into sweet potato fries. For flavor sprinkle with cayenne pepper or garlic powder or paprika. Don’t forget to join us in the kitchen this month for other ways to enjoy sweet potatoes.